This is just a small article on attending airshows in South Africa, the normal do’s and don’ts. Please note this is a general guide and although most airshows apply these rules, some airshows can differ slightly and this is only a guide. For our Airshow calendar click here…. Airshows are enjoyed by people of all ages, both males and females and with most airshows also providing kids entertainment the kids are sure to be kept busy if they get bored. 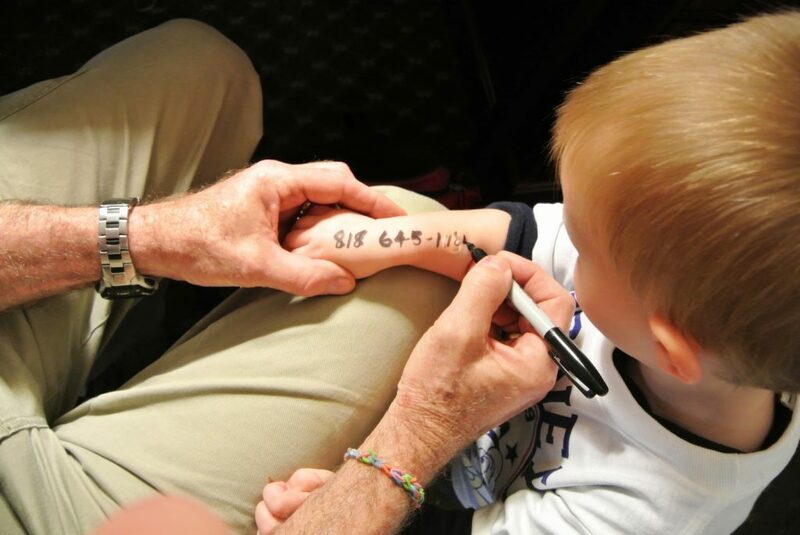 If you do have kids, it is recommended to write your phone number on the kid’s arm as it’s not uncommon for kids to get disorientated among all the thousands of spectators. Lots of vendors roam around offering kids aviation related toys on sale. For the youth, most airshows have an Aviation related career day on the day preceding the airshow and this day is normally the day that most aircraft practice and do validation flights, thus giving the youth attending the career day a mini show. On Show day, almost all airshows have many static displays and display stalls for your entertainment and interest, this is normally Aviation related and sometimes also include other motor sports. This is a good time to chat to one of the exhibiting flight schools if you are interested to do your own pilot licence. Most airshows will have hobby shops displaying Radio controlled aircraft and guys from a virtual aviation club giving you the opportunity to fly some simulator flying. Airshow gates normally open between 6am and 8am, depending on the show. Show starts about 9am to 10am on average and last to anything from 3pm to sunset set shows followed by a fireworks display ending the day, once again not all Airshows are the same. In 2017 the gate prices were anything from R80pp to R120pp, except for one show that was a bit more. South African airshow entry fees are by far on the lower end of the average entry fairs, yet we complain! Most airshows sell tickets online before the show and we at Aviation Central do recommend buying prepaid airshow tickets as this allows quicker access to the airshow grounds. Most extreme airshows fans will be at the gates one or two hours before the gates open at the bigger shows as to get the perfect spot on the crowd line fence. We do recommend that you be at the gates before they open to get a good spot. If you are at the gate in a queue, please post a photo of the line on our Facebook page. Having a coffee ready on a colder day can be welcome. Some airshows allow you to take along cooler boxes and some don’t. Please confirm this before getting to the gate. 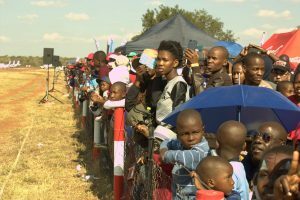 We do understand that the airshow organisers prefer you spending a rand or two at the vendors as they to contribute to the funds needed to host an airshow. Vendors include a variety of foods, soft drinks and novelties. For those on the thirsty side almost all airshows have a beer garden and no alcohol is permitted through the gates. Waste, We recommend taking along a bag for your waste. Although all airshows do have bin’s all-over, this will save you the trouble to go to the bin very time, once your bag is full, go and dump your bag. Without sponsors, NO airshow in the world will be possible. 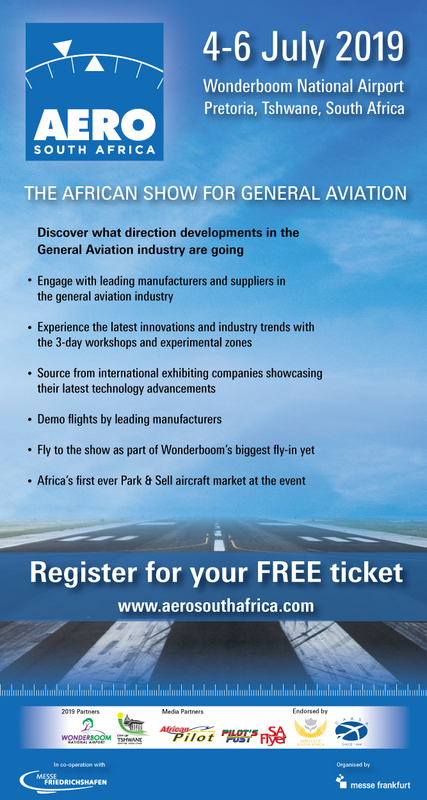 Please take note of the airshow sponsors and visit their stands at the show. This will make the sponsors feel more positive about their investment and next year they will sponsor again and maybe even up their sponsor allowing the organisers to give you a better show. Airshows cost money and lot of it. So, we appeal to you to take note of the sponsors and support them. An airshow display is normally controlled by an Air boss, and the show and is closely monitored by a safety officer. Without Air Traffic Control (ATC), no airshow is possible. Not only do they control airshow traffic, but they also monitor the airshow box for traffic intruding the airshow airspace. On the ground, we have a ramp master making sure all aircraft have a parking spot. Attending and airshow in sunny South Africa also has a challenge that is very important to be prepared for, The SUN! Please make sure you have sunblock, eye protection and a hat. Drink lots of fluids, preferably water. One thing that is normally a no-go at most airshows worldwide is beach umbrellas and gazebos. These are obstacles and barriers for all those around and behind you. So please be considered to others and do not take yours along. Do drink plenty of liquids and stay hydrated. Water and soft drinks will be available on the Show at a reasonable cost. These are general airshow rules, but they differ slightly from show to show. Don’t smoke on the Flightline: The entire ramp is a NO SMOKING AREA. Don’t arrive at the airport late: Traffic and limited parking will require visitors to arrive early to see all the action. Don’t bring dogs or other animals, bicycles, roller-blades, skateboards, alcohol, fireworks, or weapons of any kind. Don’t bring Two-way radios or any similar device that can hinder ATC and aircraft communications. No-No’s at some airshows, please check before going. What to take along to an airshow. After an airshow, it’s the long walk back to your car and a day at the airhow can be tiring, so therefore you need to pack light. Traffic after an airshow can also be a nightmare, so please be patient, give gaps to others and follow the guidance of traffic officials. It Helps to go to the loo before heading to your car and having something cold to drink can also help if the wait is long to get out. Please do not forget to share your photos, comments and ratings on the show(s) that you attended on our Facebook page.